When San Francisco mechanic Charles Fey introduced the world to the first ever slot machine back in the late 19th century, little did he know what massive success his invention would notch up. But it did not end there. Throughout the years, slot manufacturers and software developers have introduced multiple improvements on Fey’s original design. In recent years, fans of spinning the reels are provided with an extensive range of slot types to choose from. The gaming libraries of all reliable online casino operators feature hundreds of slot titles that come in all shapes and forms. Today, players get to spin the reels of video slots that come with spectacular graphics and animations, impress with a wider range of features like special bonus games, and offer multiple paylines to make bets and win on. As technology constantly continues to improve, software suppliers are looking for new ways to enhance the experience of slot fans. The latter get to choose from hundreds of online video slots, with 3D and iSlot titles being the latest craze among players. Fans of the game can bet on their preferred titles from all locations, at all times, since many respected software developers have optimized their most popular video slots for mobile play. Read on if you are interested to find out more about how video slots work, how they pay out, and what extra features they can potentially offer to reel lovers. Let us begin by explaining how video slots actually work and how the outcome of each spin is decided. For the most part, video slots resemble the regular slot machines one can find in landbased gambling establishments. They are referred to as “video slots” because they sort of resemble video games – the graphics are enhanced, the sounds are immersive, and the gameplay is rather dynamic. Unlike video games, however, video slots provide players with the opportunity of collecting actual cash prizes while having a good deal of fun at the same time. In contrast to classic slots, however, video slots have five reels or five cylinders that rotate vertically when the Spin button is pressed. Logically, it follows that the greater number of reels results in a greater number of symbols, which on its own translates in more winning combinations players can potentially hit. What is interesting to know is that the video slots at online casinos and those in landbased venues operate on the same principle and the spins’ outcome is determined in the same way. Video slots utilize software (or computer chips in landbased casinos) that are called Random Number Generators or RNGs. All the RNGs require to determine whether you win or lose on the next spin is a seed number and a complex, rather long algorithm. The video slots’ RNGs spew brand new seed numbers each and every millisecond. This is achieved by taking the last number produced by the software and completing a mathematical operation, such as division, subtraction, addition or multiplication, to render a new random seed or outcome. Every single symbol on the video slot’s reels is assigned a specific value. Furthermore, it is absolutely impossible to “cheat” the video slots’ RNGs because players have no way of knowing what the initial seed number and algorithms the software employs are. Furthermore, when players hit the Spin button, they are left with the impression the outcome is yet to be decided because the reels are set in motion. This is far from the truth. The outcome of each spin is determined by the RNG the millisecond the Spin button has been clicked and is based on the number sequence that was produced at that particular moment. On that note, it is important to mention, there is nothing players can do to predict the outcome of the spins. Each spin is neither related, nor is it affected by the spins that precede or follow it. That is to say, one can never tell when a bad streak would end. Because the outcome is random, it practically does not matter whether you bet on a slot that has just paid out or on a slot that has not rendered a payout in a while. Note that the RNGs of video slots never cease to produce seed numbers and calculate outcomes on the basis of these long algorithms. The software continues to generate number sequences even when there is no one there to play the video slot. If you are used to playing classic slots with a single payline, you will surely notice a staggering difference as soon as you load a video slot. As was mentioned above, video slots have five reels (although one can find 7-reel variations on rare occasions), which enables them to support a greater number of paylines. The number of paylines usually ranges between 9 and 100, although video slots utilizing the so-called 243 Ways to Win format offer even more winning opportunities. In order for players to win on a spin, a given number of matching symbols need to fall on one (or more) paylines. Note that there is a direct correlation between the paylines and the cost of the spins. This is so because the winning lines pay only when a bet had been placed on them. You may also notice a vast difference between the paytables of video slots and those of their classic 3-reel cousins. With video slots, you will see there are several payouts per symbol, depending on how many matches the player hits. The paytable also contains information on the direction in which the lines pay. In most cases, the requirement is that winning combinations of symbols are read from left to right although there are video slots which pay both ways. As video slots typically come with a number of extra features, their paytables can also inform the player on the available wild and scatter symbols as well as on how the bonus games and free spins are unlocked. It is important to remember that the payouts of video slots are not based on the overall amount you have bet on the spin. How much you collect on a winning spin depends on the number of identical symbols players land on the payline(s) as well as on the coin denomination and bet level. Because of this, some winning spins tend to earn player less than they have originally bet. On some video slots, players get to pick the paylines they wish to wager on. Yet, there are many advanced video slots where the lines are actually fixed and the only thing you get to adjust is the number of coins per line and their denomination. This results in a higher cost per spin for the player. Players who make a transition from 3-reel games to video slots are usually floored by the difference in terms of visuals. The graphics are typically far more elaborate than those of classic slots as they are clearer and more vivid. Many video slots feature animated symbols when winning combinations fall on the activated paylines. The immersive, high-quality sound effects further compliment the games. Contemporary pop culture has served as the inspiration for numerous video slots so players are likely to find various titles that are based on their favorite fairy tales, novels, TV shows and movies. 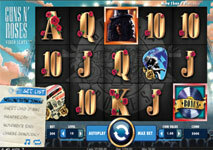 Some software developers, like NetEnt, have released video slots inspired by legendary bands and musicians, such as Guns’n’Roses, Jimi Hendrix, and Motörhead. The so-called iSlots are the latest craze among fans of this type of game since they enable players to develop their own storylines. Players can influence the bonus rounds they unlock by spinning different combinations of reels, which is to say there are different ways to finish the same game. As far as extra features are concerned, advanced video slots have plenty to offer in that department. The first thing players will notice when they open their preferred video slot’s paytable is that there are additional symbols which work in a different way than regular ones. Most video slots feature the so-called wild and scatter symbols which work to the advantage of players. Scatters are a favorite of slot fans because they have the power to unlock additional features like free spins, for instance. What is more, they do not have to align on activated paylines in order to pay – the only requirement for the scatters is to appear anywhere on the reels. Wild symbols are just as lucrative but are game-specific and come in all shapes and sizes. Those who opt for betting on video slots are likely to come across stacked, shifting, sticky, walking and expanding wilds, among others. Each type of wild functions in a slightly different manner but generally, the purpose of these useful symbols is to help players complete more winning combinations. The wilds spare players the frustration of near-misses as they can substitute for almost all other symbols on the reels, the scatters being the only exception. Many video slots have multipliers attached to the wild or scatter symbols which further boost the profits players generate on winning spins. The rounds of free spins are a common feature most advanced video slots share. These are usually unlocked whenever you manage to line up several wilds or scatters on the reels, after which you are rewarded with a given number of spins you do not have to pay for. Sometimes, there are multipliers on the winnings players generate during the round of free spins. Many players prefer video slots because the latter allow for greater interaction. This is so because many slots from this category feature extra bonus games that call for some decision-making on behalf of players. Such bonus games are usually unlocked randomly and tend to load in a separate screen than that of the base game. Bonus games differ wildly from one video slot variation to another, but usually no particular skills are required in order to collect an additional prize. In most instances, players are either asked to make a pick from different hidden icons or need to spin a wheel which features different prizes. The great thing about bonus games in video slots is players almost always are guaranteed to end the bonus round with additional monetary prizes. Players, who have previous experience on 3-reel slots are unlikely to face any issues when they transition to video slots. The only difference that will probably strike them is how the paytables look. 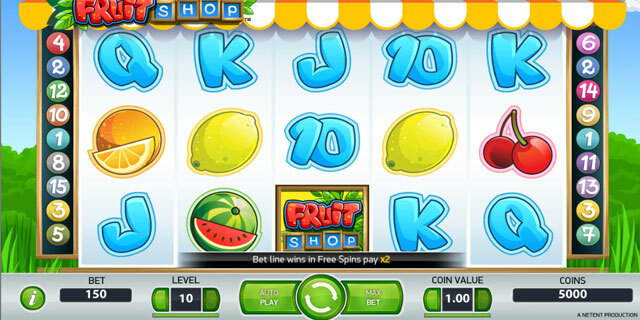 The gameplay of video slots, for the most part, resembles that of classic slots, not to mention the intuitive interface furthers the quick and hassle-free navigation. Of course, the first thing players need to do is inspect the paytable as this will enable them to gain a better understanding of their preferred video slot. What follows next is deciding how much to bet per spin. The buttons you can adjust your bet size with are usually located directly below the five reels. Using the button that reads “Coin Value” or “Choose Coin”, the players get to adjust their coin denomination. The next thing to do is adjust your bet level or how many coins you bet per payline. This is typically achieved by clicking the plus and minus on the button that says “Bet per Line” or “Bet Level”. If the paylines are not fixed, you also get to choose which ones to activate and bet on. It is recommended to cover as many paylines as your budget allows you since this will increase the probability of hitting winning combinations. Most video slots have a Max Bet button which enables players to bet the maximum amount allowed in the game with a single click. Hitting the button will not only adjust the size of your wager but will automatically set the reels in motion. Next to the Spin button, you are likely to see a button that reads “Autoplay”. It facilitates a preset number of spins that are played automatically without the player having to hit Spin after every single round. If you have a smaller bankroll at your disposal, it would be best to avoid this feature. If you do decide to activate it, make sure the video slot of your choice allows you to set a loss limit or a win goal during Autoplay. Some slots, developed by Microgaming and Betsoft have a “Double Up” or “Gamble” buttons. This feature gets activated only after the player has already landed a combination of winning symbols on the reels. Players who opt for it can potentially double or even quadruple the profits they have accrued on the last spin by playing a side game, usually of heads or tails. The player’s credits and current balance are displayed below the reels. The good news is you will not have to calculate the amount you have won on the spins since the video slot will do it for you. The winnings on lucky spins are added automatically to your balance. Video slots are wildly popular in both brick-and-mortar and online casinos. They come with outstanding graphics, engaging animations, and realistic sounds which make them extremely exciting and fun to play. If Charles Fey was still among us today, he surely would have been proud of how far technological progress has taken his original Liberty Bell slot machine.